AFTER four years as Bishopston councillor, David Willingham is stepping down to spend more time focusing on pursuing his career and becoming a chartered engineer. Over the four years in his role David has achieved a significant amount, from being involved in high profile campaigns to lobbying Parliament. He has been instrumental in securing a vast sum for the Bishopston ward - believed to be around £200,000 - alongside former Lib Dem councillor, Bev Knott. David recently obtained £25,000 from construction group, Galiford Try, to spend on schools within 1km of the Gloucestershire County Cricket Club re-development. He also played an important role in securing £110,000 needed for the renewal of the play area on Horfield Common, which is now under construction, as well as helping to acquire Village Green status for Wellington Hill playing field. David has been at the forefront of several local campaigns, including lobbying for a new station at Ashley Hill, and campaigning against the Sainsbury's development on the Memorial Ground. Additionally, he was involved in pressuring Bristol mayor George Ferguson to halt plans to introduce a Residents' Parking Zone in Bishopston, which received strong opposition from the area. On a more national scale, with the National Autistic Society, David lobbied Parliament for increased support for people with the autism - a life-long condition which he was diagnosed with about five years ago. "It's about trying to make people more aware about autism, as it's a very hidden disability. If you get the right ear you can make things change." Besides David's more publicised efforts, there is a lot that goes on behind the scenes, he says. From helping people interact with local services, to assisting people settle neighbour disputes. Playing a part in the civic life of Bristol has been a particular highlight for David, especially being involved in the Rush Sunday and Legal Sunday annual ceremonies, and the Remembrance Sunday service. David was also fortunate enough to take part in the Erasmus programme, which allows local representatives from across the EU to meet and share ideas with one another. "By visiting Brussels and the Hague, and talking to other representatives, I realised that we have so much shared history and far more in common than what divides us. We all want the same thing." 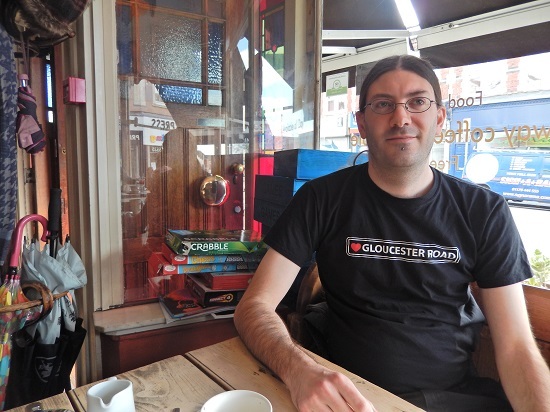 David believes that the next councillor needs to be someone who is passionate about Bishopston, and he advises them to "stand up for Gloucester Road". "It's a jewel in Bristol's crown and people need to treasure it. But remember it's a complicated street, which is used for walking, cycling, commuting, buses, as well as being a residential, shopping area. "If you focus on one aspect to the detriment of others you risk getting it wrong - you need to look at the overall picture. "With all decisions being made by the mayor, it's important that whoever is next elected will stand up to him and tell him what the area needs." He added: "You are the people's representative to the council, not the council's representative to the people. Hold the council to account, and don't justify their actions if you don't agree - you're in a position to change them."